During all of the various marches throughout the country, protesters have been carrying signs that read, “Black Lives Matter”. Of all of the various messages out there, this stands out among all the rest. So then tell me why there are never protests when blacks kill blacks? Why when a black child is hit by a stray bullet in a playground or schoolyard and injured or killed, is there never a call for justice? Where are the marches for them? The number of blacks killed by police officers is miniscule compared to the numbers of blacks killed by other blacks. Where are the Al Sharpton’s of the world crying out for justice, crying out and pleading for the senseless violence to end. 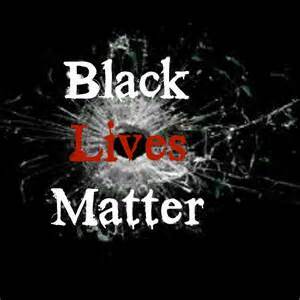 According to the U.S. Department of Justice, “93% of black victims are murdered by other blacks”. That’s a statistic that should have every black citizen and black leaders up in arms. Instead life goes on and nothing is said on the matter. It’s almost as if that’s an internal matter and not up for discussion. Or the community is too frightened to stand up to the neighborhood bad guys. But unifying against law enforcement links all people of the community, even the scary, dangerous ones, under one umbrella, one cause. Don’t get me wrong, where there are instances of police brutality, and they do exist, just the way Catholic Priest child molesters exist, those cases and instances must be investigated and dealt with in a timely and effective fashion. But it must be stated, that is the exception, not the rule. Most police officers, as I have already written, truly want to help and serve the communities they patrol. Let’s not confuse a shooting like the one that recently occurred near Ferguson, where a youth pulled a loaded weapon on an officer, and the officer shot and killed him. Not every police shooting is a bad shooting. They have the right and duty to protect themselves and communities with deadly force when necessary. Antonio Martin was not a good boy. He was a criminal with a record and should not be defended by anyone. His loss is the community’s gain. It ensures that the majority of decent youth in Berkeley Missouri won’t ever have to look down the barrel of his sidearm. Other black lives have probably been spared by his demise. Berkeley Mayor Theodore Hoskins who is black said, “You couldn’t even compare this with Ferguson or the Garner case in New York.” Hoskins continued by saying that video appeared to show Martin pulling his gun prior to the officer drawing his weapon. It was a good kill and that’s that! When these protests eventually end, two things need to happen. 1) Real change. There must be quantitative and qualitative measures taken so that black communities feel as if their legitimate grievances have been addressed and 2) Black on black violence must be addressed. It must move to the forefront and remain a topic of conversation in every city and county where there is violence and it must not be allowed to fade into obscurity because Black Lives Do Matter! !